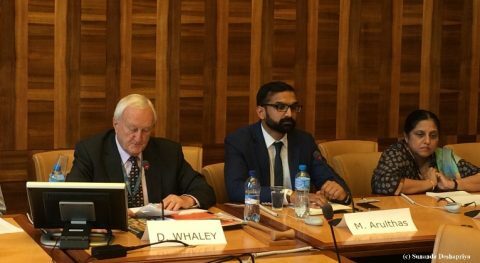 On Friday 24th June, jointly with Asian Forum for Human Rights and Development (FORUM-ASIA) and Franciscans International, IMADR held a side event on “Accountability and Good Governance in Sri Lanka” at the 32nd session of the UN Human Rights Council. Below is the summary of the discussion. Despite the progress, she admitted that some issues remain unresolved such as the slow pace of release of the detainees under the Prevention of Terrorism Act (PTA), failure to provide information regarding those who surrendered during the war which the government has not been able to get the information from the army, a large portion of land remains under the military occupation as well as continuing surveillance. 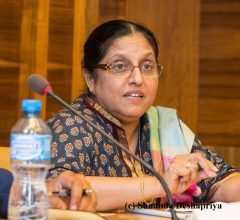 She concluded by highlighting the engagement of civil society in Sri Lanka in order to to seize the moment and start a dialogue with all the groups affected. She expressed the desire of having United Nations engaged in the process in order to see the implementation of the resolution. Second speaker was Mr. Rajith Keerthi Tennakoon. 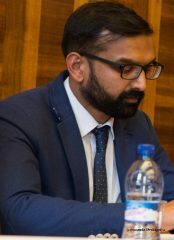 He started by making reference to the last elections that changed Sri Lanka as they allowed to rethink the mechanisms of justice and accountability. However, he observed that certain problems remain to be solved. He believed that one of these problems is the PTA, which he affirmed the need to be repealed. He stated that in line with many other promises the government made during the campaign, changes have not been put in place for the PTA. Furthermore, the government has claimed to have a draft legislation to substitute the current Act, yet there have not been any consultations with civil society and none has seen any draft. With regard to the Constitutional reform, he stressed that one essential aspect of the reform should be the judiciary, as in the past the judiciary was under the power of the government. Although, this approach has changed now, the expectations are high and reforms are not meeting the expectations. Mr. Tennakoon highlighted one issue that he believed critical for the whole reform process in the country, and that is corruption. He noted that corruption was one of the main factors that led to the regime change. He himself is involved in the anti-corruption movement and has presented more than 512 complaints, currently having cases against more than 6 different institutions. However he admitted that there is a limited success when it comes to investigation. He explained several reasons for this limited success: new institutions need to be established in order to fight against corruption; a great number of obstacles appear when investigations come to senior politicians; and the lack of involvement of civil society in the prevention of corruption. He admitted that the government is trying to strengthen the fight against corruption with more human and financial resources, however obstacles remain for sensitive cases including the investigations to former President´s family members. Mr. Tennakoon highlighted another problem in this regard that is the weak position of the Attorneys General’s department. He raise concern on the great level of influence of politicians over the department. Mr. Tennakoon concluded by pointing at the key areas of challenge in the current political situation: the role of senior police officers and military in continuous interruption of the investigation processes; the presence of the high political ranking officials suspected of corruption; and the reforms not meeting the high expectations. 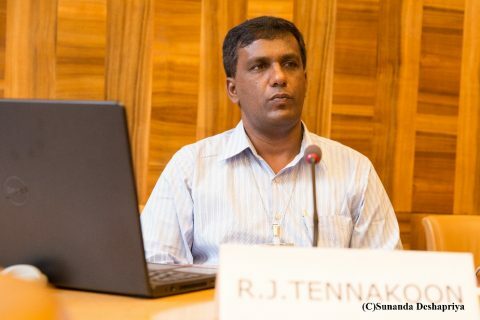 Next speaker was Mr. Ruki Fernando who focused on the issue of the disappeared. 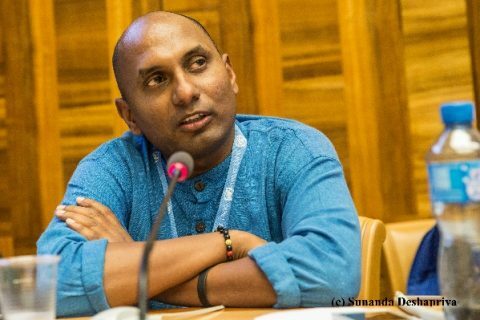 He stressed that disappearances had been a constant reality in the recent history of Sri Lanka. He mentioned the disappearances of a great number of Sinhalese in the late 80´s, and since then, that most of disappeared have been Tamils. He highlighted the use of disappearances by successive governments as a counter-terrorism tool and to suppress dissent. Mr. Fernando reminded that non-state actors such as the LTTE were also responsible for enforced disappearances. He observed that the government’s responses to the complaints regarding disappearances have been either denial, indirect justifications, intimidation of families of disappeared and those supporting them. He noted the long delays in court cases involving disappearances and the ineffectiveness of many commissions of inquiries. He welcomed the visit of the UN WGEID last year and ratification of the UN convention on enforced disappearances this year, but pointed out that it was done without recognizing article 31 on individual communications. Mr. Fernando highlighted that the Prevention of Terrorism Act (PTA) had facilitated disappearances. And that despite promises to repeal this law, the government was still using this law, with at least 25 arrested under the PTA in last 3 months.